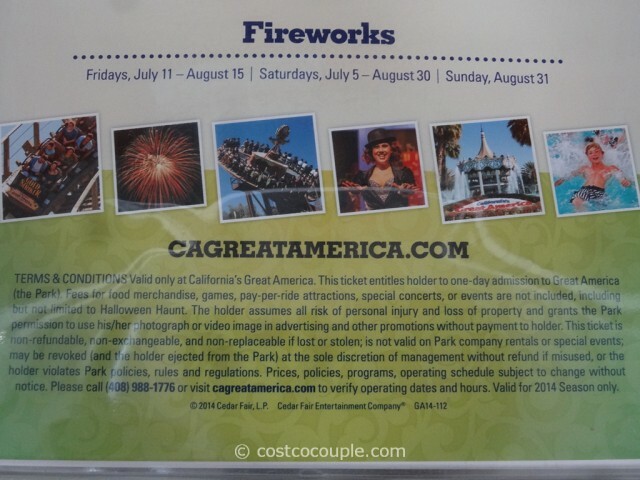 UPDATE 07/17/14: Spotted a $10 instant rebate for the Great America 2014 General Admission Tickets. 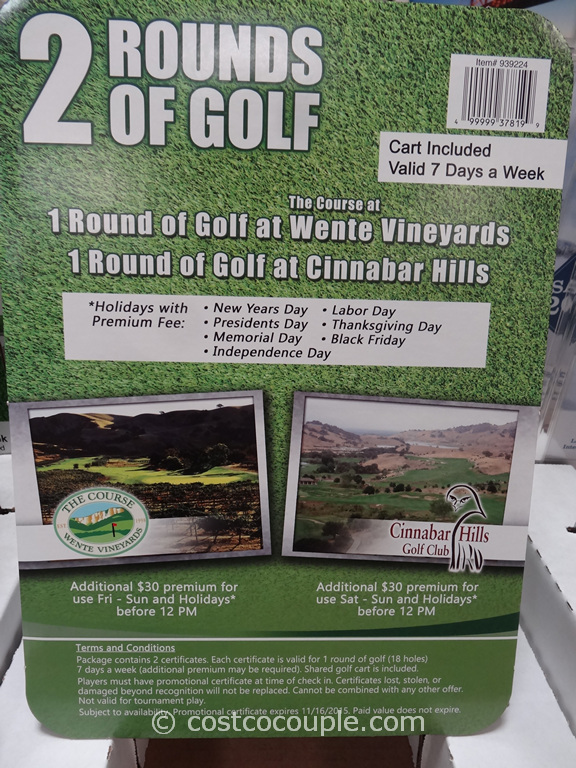 Price is $69.99 till 09/08/14. Valid for 2014 Season only. Item number 895541. PUBLISHED 06/13/14: So Costco initially offered a Great America Season Pass for 2014 but we didn’t see it in the store recently. 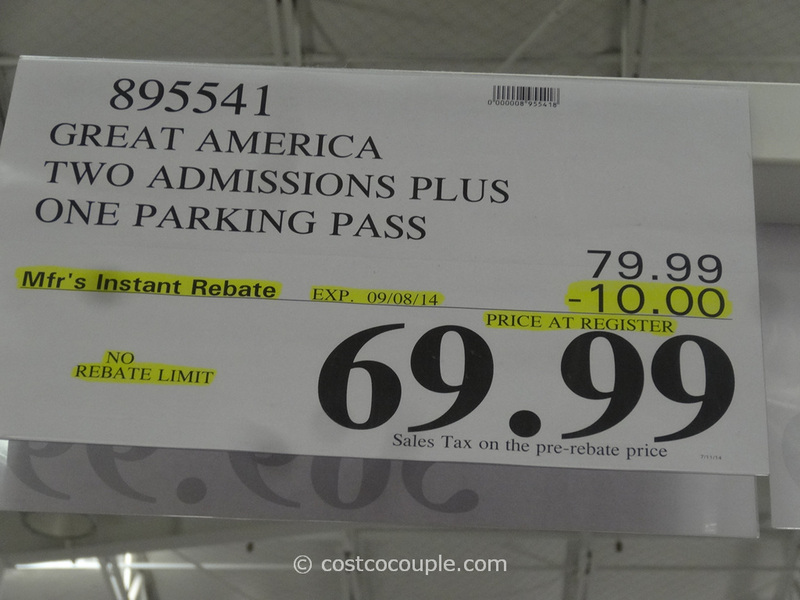 When we asked a Costco employee, she told us they were sold out. She didn’t know if they were sold out temporarily or permanently. 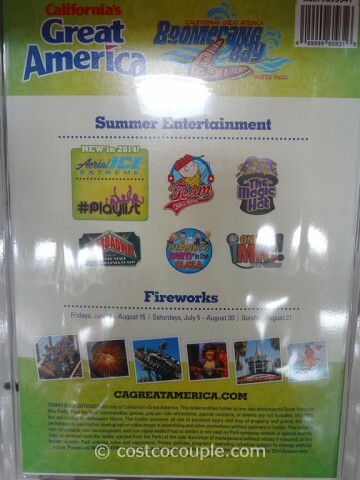 Anyway, we just spotted a new Great America gift card at the San Jose store. This time, it’s similar to what was offered last year. 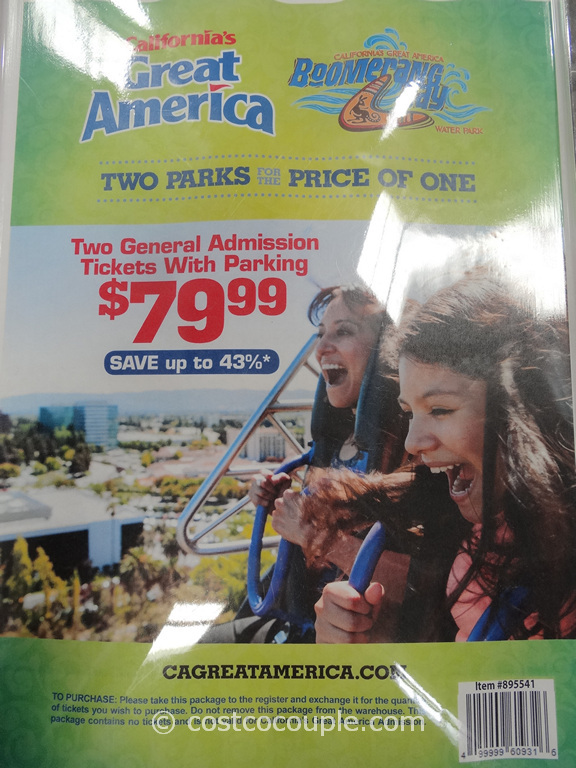 You get 2 General Admission Tickets to Great America with Parking for $79.99. This is a cheaper option for those who only want to go to the theme park once. It is not valid for special events or concerts, including but not limited to Halloween Haunt. Valid for 2014 Season only. 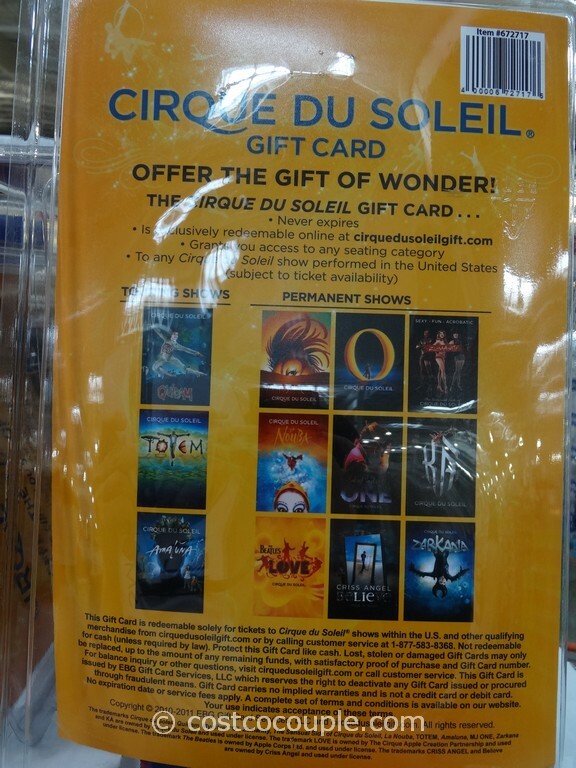 All these discounted gift cards have their own terms, conditions and restrictions. Please read and understand them prior to purchasing. 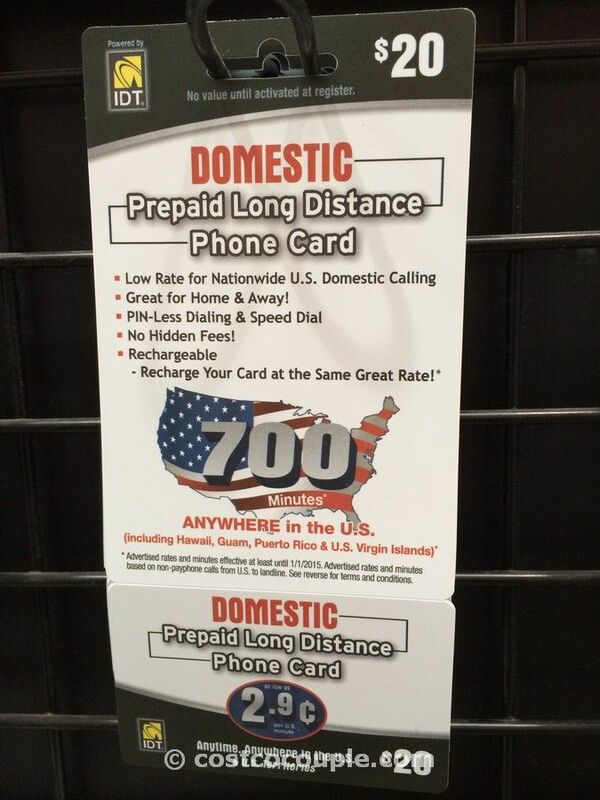 Help others by commenting below if you see this gift card (or not) at your Costco location.